Players take it in turns to go through the skills circuit. 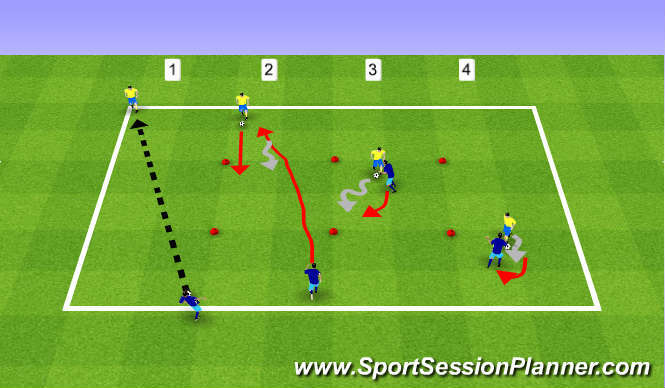 2v2 Pressure, cover - get the players to talk - "I am going ball"
1/ Very simply the attackers (A)pass the ball along the line.The defenders(D) have to communicate who is going to pressure the ball. (A) do not move forward at first.Rotate every position. 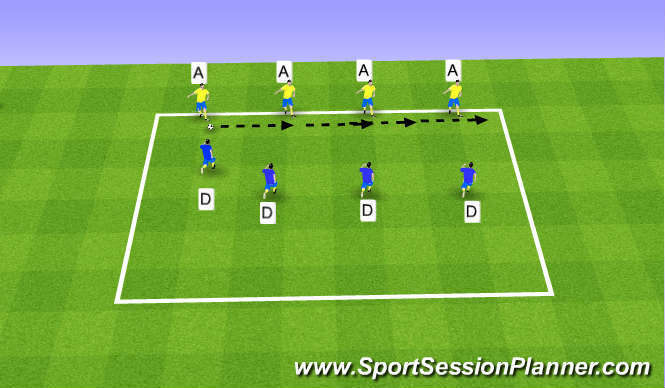 Once communication and closing down is fluid add a goal behind the D and let A move freely. Set Up: 30 x 25yards.Three small goals. 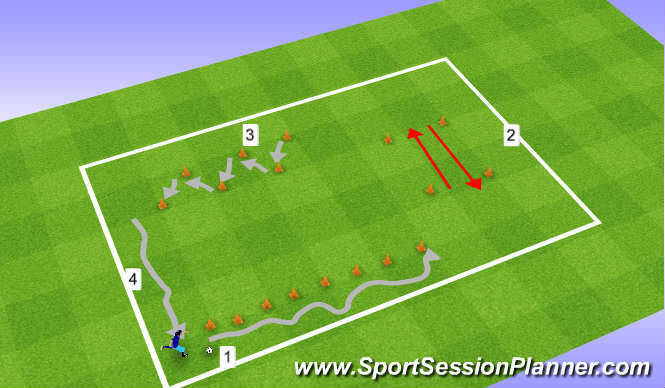 Cones dividing pitch into thirds. 3v 3 Attacker v defenders. If defenders win ball, they attack opposite side. Consider restricting defenders to zone.